Turkish President Recep Tayyip Erdoğan recalled Turkey's determination to fight against the terrorists in Iraq and Syria. "Turkey's military operation in northern Syria will target the town of Manbij and Raqqa after the town of al-Bab," Erdoğan explained. As many as 80 Daesh suspects, including 20 organizers, were detained on Thursday in a counter-terrorism operation in six Turkish provinces. The Istanbul-centered operation was conducted in Edirne, Erzurum, Gaziantep, Şanlıurfa, Kırklareli and Istanbul simultaneously. Twenty of the total detainees were reported to be organizers; 15 of the suspected organizers were detained in Istanbul. Istanbul police conducted the raid on 31 addresses to detain the suspects, which were to be sent to Syria by the Daesh terrorist organization. 103 Daesh, PKK/PYD targets hit in Syria Only yesterday on Wednesday, seven Daesh members were detained as police raided the cell house where they were staying in the southern Turkish province of Adana. The seven detainees were claimed to be suicide bombers. Four of them are foreign-origin, according to the police sources. Security forces also conducted a search in the house to find explosives. Turkish, US, French ministers discuss anti-Daesh fight Previously on October, 19 Daesh suspects were detained in the operation against the Daesh terrorist organization in the southeastern Turkish province of Gaziantep. The explosives were found in a building used as a storage house. Turkey has been fighting against some other terrorist groups such as the Fetullah Terrorist Organization (FETÖ), Kurdistan Workers' Party (PKK) and its affiliated groups both across the country and abroad. Turkish President also said he had informed U.S. President Barack Obama about the plans in a telephone call on Wednesday. Erdoğan also said that Turkey's efforts against the Fetullah Terrorist Organization (FETÖ) will continue. 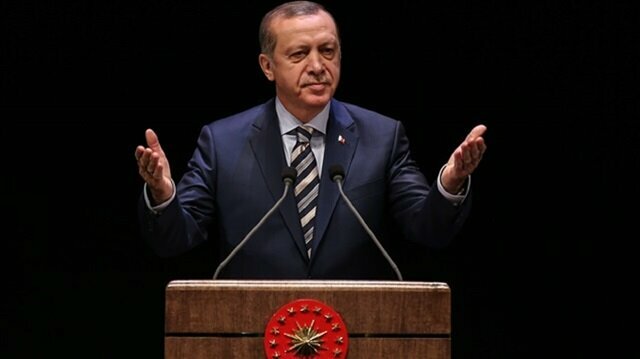 "No one can victimize these terrorists; in the incidents following the coup bid, 246 people killed. What if 246,000 people were killed? Will these parties accept that it was a coup bid?" Erdoğan said. "The nation was always standing by the government. The nation was with us, but no one else," he added.